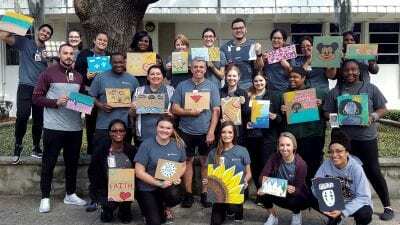 Students from the Occupational Therapy Assistant program recently attended the Florida Occupational Therapy State Conference in Tallahassee. Two students, Kristin Carlisle and Madeline King, were invited to share posters at the Conference. Congratulations are in order for Kristin Carlisle who received first place for her presentation titled “Discharge Options and Intervention Planning for the Homeless Population in Acute Care Settings in Pinellas County.” Carlisle chose this subject after her last clinical rotation in an acute care department at a Pinellas County hospital. Capitalizing on an assignment to research pertinent community health topics, Carlisle became passionate about finding safe and suitable discharge options for the homeless. Madeline King was also honored to submit her work titled “Empowering Our Seniors Through Acts of Kindness: How To Improve Social Engagement In the Community.” She selected this topic during her psychosocial fieldwork rotation at a local senior activity center, where she noticed that many seniors felt disengaged from the community. 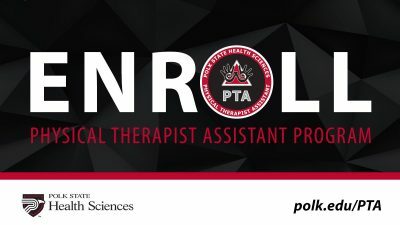 Occupational therapy assistants (OTAs) work under the direction of occupational therapists to help patients develop, recover, and improve the skills needed for daily living and working. 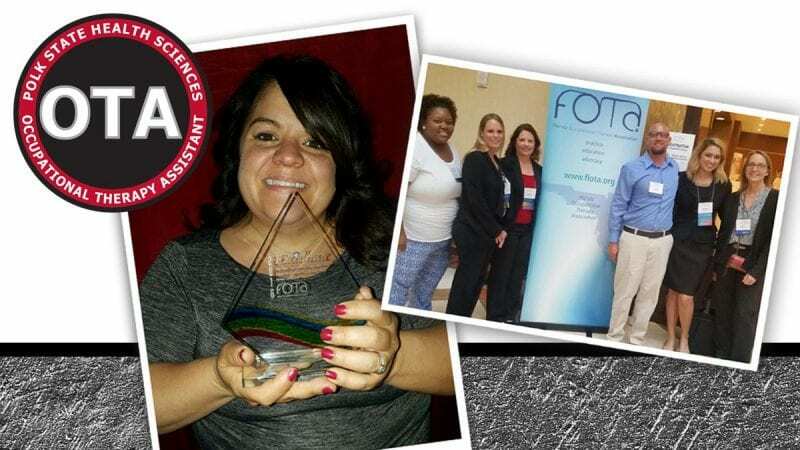 The Polk State Occupational Therapy Assistant (OTA) Program began in January 1999 at the Winter Haven Campus, and the first class of students graduated in December 2000. The limited-admission, 70-credit hour, Associate in Science degree program provides students with opportunities to develop interpersonal and clinical skills in the field. Each OTA applicant must first be admitted to the College and meet pre-admission requirements. The program’s Selection Committee chooses twenty-four applicants each year for enrollment in the spring. Occupational Therapy is a vital healthcare service in which practitioners use occupation (purposeful activity) as a means of preventing, reducing, or overcoming physical, social, and emotional disabilities in people of all ages. Some of the responsibilities of occupational therapy assistants include carrying out treatment interventions designed by an occupational therapist, adapting the environment for individuals with psychosocial and physical dysfunctions to maximize independence, and teaching the use of adaptive equipment and compensatory techniques to facilitate the performance of daily activities. Carlisle graduated in December 2016; King will graduate in May 2017. 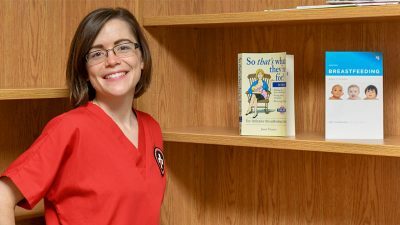 While employed, Carlisle will begin classes towards a baccalaureate degree, as she hopes to teach future Occupational Therapy practitioners. King plans to apply her skills in a pediatric setting, engaging children in play and creative therapy. The OTA Program is offered on the Winter Haven Campus from 8:30 a.m. to 6:30 p.m., typically two to three days per week (Monday, Tuesday, and Wednesday; or Monday, Tuesday, and Thursday, depending on the term). The program requires a full-time commitment throughout the year, including the summer. It contains 14-credit hours of clinical fieldwork that are completed at various sites in Polk County and adjacent counties.